The chants of discontent among the more than 300 different tongues amalgamated by the British into one nation called Nigeria never seem to end. As one ethnic group pauses to catch its breath, another mounts the world media stage, while others await their big moment. Nigeria's system of government encourages this attention seeking. Each of the country's different regions looks towards the centre - the federal government in the capital, Abuja. If the presidency is occupied by someone from a particular town, state or region, people from that place go to sleep, assured, rightly or wrongly, that their concerns will most certainly also be his. Other groups must constantly "shine their eyes", keeping watch to ensure that their kinsmen and women are among federal government appointees, that their allocations are fair and intact, that the development being planned for other regions also extends to theirs. 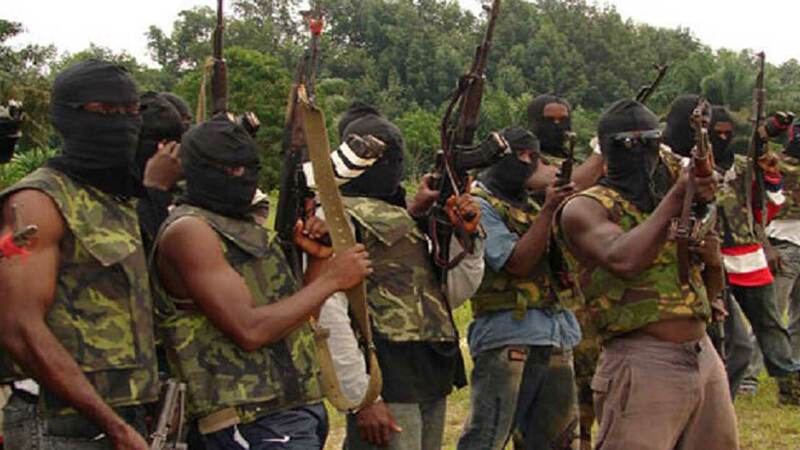 For years, the people of the Niger Delta agitated for more representation at the centre. After all, their region was producing all the crude oil that was feeding other regions.Their heart's desire was granted when Goodluck Jonathan was elected president in 2011. After he was voted out in 2015, the restiveness resumed, with activist groups such as The Avengers making their voices heard through the bombing of petroleum pipelines. "Decentralisation will certainly be one of the main issues at the next elections in 2019." The Igbos of south-east Nigeria have never had a real turn at being president, apart from when Nnamdi Azikiwe occupied the ceremonial position immediately after independence from Britain in 1960. For decades, they have cried out about being marginalised, about not getting their fair share of entitlements from the centre. But, with no pipelines to bomb and no militant groups to fund, how could they get the attention of the world? Fifty years ago, the Igbos attempted to secede, abandoning the Nigerian union entirely and found their own nation called Biafra. Unwilling to let them go, the Nigerian government resisted. A ghastly civil war ensued. 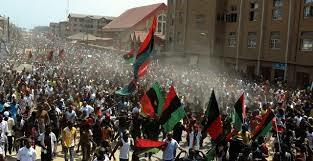 After three years of fighting, the Igbos surrendered in 1970. Threatening to resurrect Biafra now seems to be the chosen way for the discontented Igbos to get the attention they desperately seek. 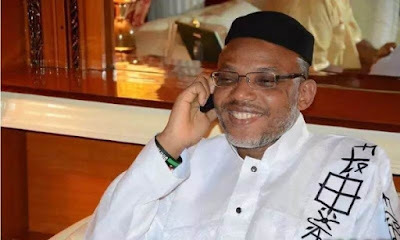 And, three years ago, a young Anglo-Igbo man, Nnamdi Kanu, flew in from his home in Peckham, London, to champion the struggle under a group called Indigenous Peoples of Biafra (Ipob). At some point during his 15-month incarceration by the Nigerian government, the Londoner received the support of his local British MP, who wrote a petition decrying the detention of "my constituent". In a popular speech last year, former Vice-President Atiku Abubakar called for the country to be restructured, with less power at the centre and more autonomy for the regions. Each region could then exploit its own natural resources, thrive on its own terms and pay taxes to the central government. "The call for restructuring is even more relevant today in light of the governance and economic challenges facing us," Mr Abubakar said. "And the rising tide of agitations, some militant and violent, require a reset in our relationships as a united nation... Nigeria must remain a united country. "Our potentials are enormous. But I also believe that a united country, which I think most Nigerians desire, should never be taken for granted or taken as evidence that Nigerians are content with the current structure of the federation." Not everyone is keen on this restructuring idea yet. Some feel that certain regions might be disadvantaged with a decentralised structure. But ever since Mr Abubakar made that call, it has reverberated across the country, with distinguished citizens of various ethnic groups also insisting that this is the way forward for peace and progress. It will certainly be one of the main issues at the next elections in 2019.